operations support of SDDC environment and troubleshooting the issues with cross functional teams and vendors. •	Lead operations teams as an SME hands-on with periodic updates, assist in communications to business about all incidents. •	Troubleshooting and resolving performance, migration, deployment, upgrade, issues. •	Participate lead and drive Priority 1, Priority2 incidents representing Operations Compute. •	Working with the Engineering , Life Cycle Management teams in automation , Continuous improvement, upgrade activities. •	Administering all Production/Dev/ QA HP-OneView, DELL OME. •	Support on-call in rotation as escalation point. •	A minimum of a bachelors Degree is required. •	A Post Graduate Degree is preferred. •	VMware vSphere training and Certification. •	Automation through PowerShell, Power CLI , Scripting experience is preferred. •	Strong technical background and experience in virtualization, network and other technologies is preferred. •	Independent judgment and technical problem solving, decision-making strength is required. •	Excellent interpersonal, oral and written communication skills are required. •	Self-starter with strong teamwork abilities and customer service skills is required. •	Experience in working in a DevOps or Scrum methodology is preferred. The position is responsible for providing leadership to a team of Quality Assurance professionals that have quality oversight on external API manufacturers world-wide and that are executing on strategic initiatives for internal optimizations as well as on improving Quality & reliability metrics at external sites. JSC Quality teams in internal and external manufacturing and testing sites. The Director ESIQ API provides leadership in the selection, development and management of external manufacturers in the region. He/she contributes to the overall development, implementation and execution of quality systems in support of external API manufacturing. The position works closely with Partnership & External Supply (PES), other Quality and Compliance functions, Internal JSC sites, Product Quality Management, Global Technical Operations and other stakeholders. Ensures that high talented personnel are selected, recruited and developed to support activities in line with current and future business needs and builds a strong, solid, cohesive team within ESIQ API. Leads the API team and ensures that the daily operations are in alignment with business priorities and needs. Drives a culture of continuous improvement across the team. Develops, monitors and effectively utilizes dashboards, control charts and quality indicators and ensures the team takes action to correct those situations which are not in line with established controls or targets. Provides Quality Assurance, compliance and technical oversight to at least 1 External Manufacturers in the region. These external manufacturers potentially supply all markets. Negotiates a Technical & Quality Agreement with each external manufacturer. These T&Q Agreements are a formal appendix to the Supply Agreement with each external manufacturer. Assures implementation of the agreed upon terms. Maintains quality oversight by using all communication technology available, including traveling to external manufacturers to provide cGMP support, and to resolve issues as required. 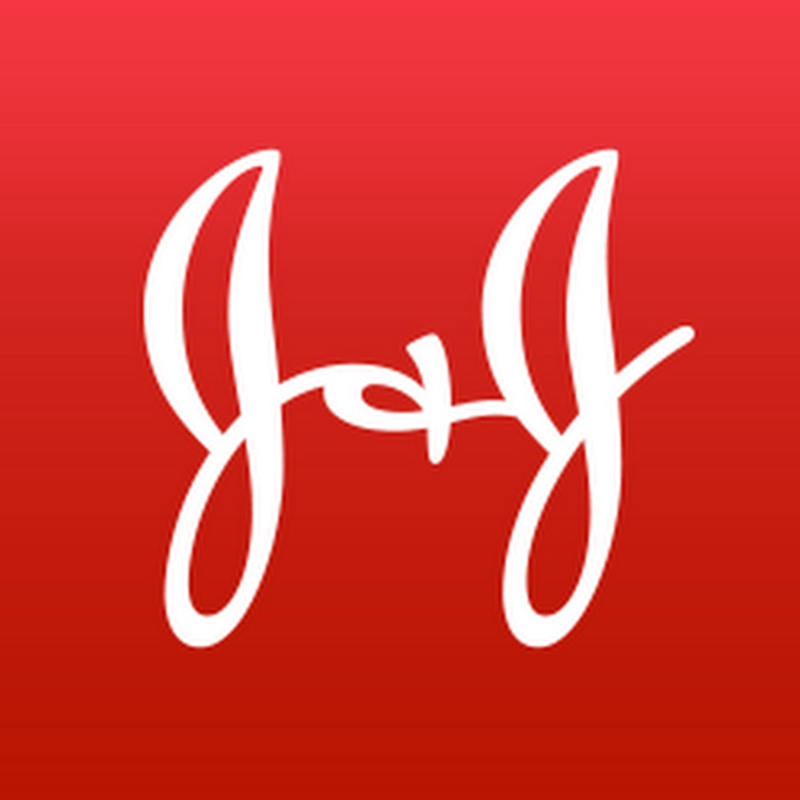 Represent JNJ at these external manufacturers. Proactively identifies risks, where possible resolve these risks and escalate to senior management as required. Assures continued market supply. Provides quality oversight for the technology transfer process of new products to the external manufacturers as per Janssen expectations and as per need of the external manufacturing sites. Guides the batch release process both internally and at the external manufacturers. Assures that the batch release process is in full compliance with all regulations applicable in the country where the product is distributed and/or marketed and with the Janssen expectations. Partners with PES, Global Technical Support and Global Planning in the framework of the Quartet in order to assure continued market supply in a lean and effective manner. Provides strategic quality direction to colleagues in PES and Technical Operations, more specifically in view of the business development projects in Emerging Markets. Contributes to the Due Diligence activities as a Quality decision maker for the selection of new external manufacturers. As a member of the ESIQ team that directly reports to the Regional ESIQ Small Molecule (SM) Sr Director, provides strategic leadership to the wider ESIQ SM team. Partners with key supporting functions including Product Quality Management, Compliance, Regulatory and internal Site QA, to ensure all activities within external manufacturing are carried out in compliance with corporate, cGMP and other regulatory requirements. A minimum of 10 years of experience in a regulated environment (Healthcare, Pharma, Medical Device or Consumer) is required. Preferred 10+ years of experience in various fields in the Pharmaceutical, Consumer/Personal Products, Device or Healthcare industry with preferably some years in a Quality role. Successful experience in leading a diverse community of professionals in a global and matrix environment. Seasoned leader, decision maker and constructive challenger. Excellent communication, influencing and partnering skills in a matrixed management environment is required. Strong communication and influencing skills in a matrixed organization is required. Knowledge of Process or Business Excellence, Faster Forward/Design Thinking and analytical skills is preferred. Project and Program management experience is required. Knowledge in industry regulations and cGMP is required. The candidate must be able to uphold our Credo Values, while driving innovation with a customer focus mentality. This role will require interdependent partnering with both internal and external partners. The Director functions as a Key Interface with JSC Quality functional organizations within and across sectors. Also participates in internal and external working groups, project teams and other internal communities, to drive leveraging and learning and identify opportunities for improvements. Please note that there is no relocation assistance provision for this position. The selected candidate can continue to be based in his or her home country. strategy and vision across sectors in full lifecycle management and encompassing pre-marketing activities. Responsible for validating medical strategy with key SEA KOLs. Responsible for ensuring alignment of local, regional and Global Medical Affairs strategy, plans and activities within each TA or Sector. Responsible for providing input to AP regional medical strategy to ensure SEA requirements are represented. Responsible for ensuring cascade of relevant information (e.g. Global and AP plans and strategies) through local Medical Affairs Lead/Directors. Accountable for developing and maintaining annual Medical Affairs budget requests and ensuring that individual product budgets are being managed and tracked. Close collaboration with SEA commercial lead and active participation in SEA commercial team meetings to ensure alignment and drive future regional development plans. Medical affairs leadership in AP Medical Affairs Meetings. Develop SEA Medical Education Plans in line with respective product strategy. Provide a comprehensive Training Plan for internal stakeholders. Responsible for coaching and supporting the SEA MAF team and the country medical affairs teams in developing and executing their MAF Plans. Responsible for identifying and managing the integration points across the MAF Teams and with other functions and geographies to ensure alignment, minimize risk and eliminate duplication (e.g. coordination of SEA studies, interactions with external customers and stakeholders). Coordinate input from the local MAF teams to other SEA functions such as Regulatory Affairs (RA), Pharmacovigilance / Benefit Risk Management (PV/BRM) etc. Act as a role model with respect to adherence to, and tracking compliance with, relevant Standard Operating Procedures (SOPs), and ensure similar adherence among direct reports. Develop KOL management strategy and plan in collaboration with LOCs, facilitating the allocation of responsibility for managing specific KOL relationships along clearly defined lines. Provide MA oversight and support for market development activities (e.g. SEA KOL development strategies, communications plans). Responsible for engaging and influencing top tier KOLs within SEA. Give guidance on the development of study concepts and scientific content for protocols. Accountable for approving study concepts according to defined timelines. Accountable for the final approval of study protocols, ensuring that all comments have been incorporated. Work with the local countries MAF Lead/Directors to manage Product-related medical safety issues and provide input to the regional compliance person. Academic background with a Medical Degree and/or PhD essential and higher Medical Qualification desirable. In-depth knowledge of study methodology, study data review and analysis. Excellent knowledge of study publication processes. Good knowledge of study execution, benefit risk management and regulatory affairs. Very strong and demonstrable communication and influencing skills that can impact at Regional level. Highly innovative with the ability to drive a complex and changing environment and effectively manage and resolve issues within the SEA. Exceptional leadership, people management and development skills, motivated to develop, guide and reward high performance teams. Highly customer and market place focused with an awareness of the importance of business results. Awareness of and adherence to Johnson & Johnson Credo values. Please note: as a result of the J&J succession planning process, a preferred candidate has been identified for this particular role. The purpose of advertising this role is aligned to our Global posting policy and in the spirit of transparency to identify other potential employees / candidates who may be interested in being considered for this position. Leads the SEA XFT in the co-creation of the SEA brand strategy for allocated portfolio(s) ensuring alignment to global guidance, understanding of SEA realities and cross-functional collaboration. Executes the commercial SEA brand strategy as defined in the plan, working within agreed budget and resource allocation, continuously looking for synergies and sharing best practices to increase effectiveness and efficiency. Continually collaborates with cross-functional team to ensure that the brand meets the defined unmet customer needs and key stakeholders realize the brands value proposition. - Knowledge of general finance/accounting processes. - Strong influencer, independent thinking and strong planning/prioritization are critical to success. - Experienced professional with strong communication skills who is able to interact with senior management is required. - Intermediate to advanced skills in Microsoft Office is required. - Passion for people development and talent management is critical. Responsible for Commercial Excellence related tasks, processes and activities in APJ. She/he is the key lever to drive Commercial Excellence across the region. Implement fact-based approaches to improve Channels, SFE, Pricing and Training & Retention. Continuously improve capabilities & processes. Drive collaboration & alignment between region & countries. analytic solutions to support business initiatives. Drive financial and commercial-related analyses through cross-functional collaboration with regional and country commercial teams. Prepares regular and ad-hoc data mining and analyses for management to facilitate the identification of market opportunities. Analyze and interpret both internal and external factors that affect sales performance. Communicate findings to functional leaders to influence actions and outcomes. Increase insights generation and interactive data visualization capability by rolling out a business intelligence tool, e.g. Tableau. Facilitate best practice sharing within APJ region. Facilitate continuous improvement in countries commercial excellence trough best in class tools & processes. Work closely with regional and country teams to coordinate the gathering of multiple data points from country teams. Load and/or guide country commercial teams to enter and maintain the data in the business systems. Ensure data is available on an accurate and timely basis. Administration of business systems e.g. Salesforce.com and Business Objects. Coordinate usage to gather data on sales, accounts, customers, segmentation, sales activity etc. Ensure smooth roll out of business systems functionalities/ enhancements and adoption. Participating in business planning and sales targeting process. Develop and execute Customer Segmentation and Targeting methodology. Support country teams on operational work queries and troubleshooting. Lead and develop Sales Force Performance dashboards/ KPIs/ Metrics using Excel or Business Objects or Salesforce. Provides insights to sales and marketing management on sales force effectiveness; Provide suggestions for continuous improvement. Provide counsel and actionable information. Coordinate the gathering of SFE performance data from country teams Territory assignments, target setting, call planning etc. Advocate for improving CRM adoption by providing training, support and process continuous improvement. Incentive scheme design & implementation. Bachelors degree with 3-5 years of relevant commercial experience in business intelligence, analytics, commercial excellence or sales force effectiveness. Analytic skills to link data to business performance to arrive at actionable initiatives. Proven ability to extract / source data from multiple data sources and integrate them into a single source / dataset. Strong communication skills. Confidence to present findings to all levels of management. Experience designing and maintaining business reporting infrastructure. Experience in SAP, Business Object, Salesforce and Excel.